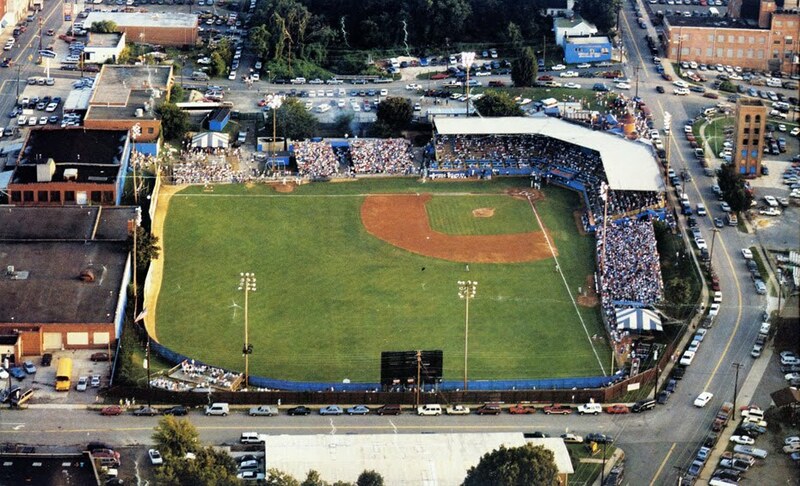 The Bulls play at the Durham Athletic Park tonight...our home until 1998...restored by the City of Durham. 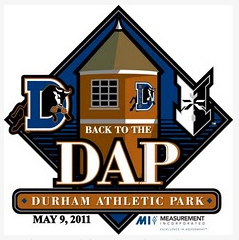 The DBAP is south of downtown; the DAP is on the north end. 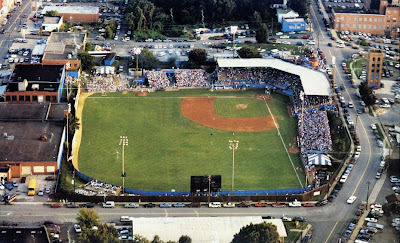 The shrine to Bull City baseball and the "on location" site of the 1988 cinema classic Bull Durham is currently operated by Minor League Baseball. The DAP has its own website. 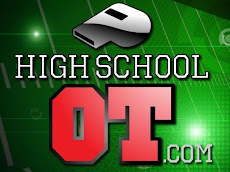 Check it out; click here. The above image (late '80s) comes from the Endangered Durham website. Click here for additional pix. 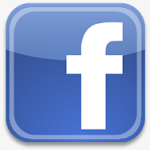 Scroll down to browse through their library. Join us this evening...should be a beautiful - and memorable - night for baseball! Tickets: www.durhambulls.com.